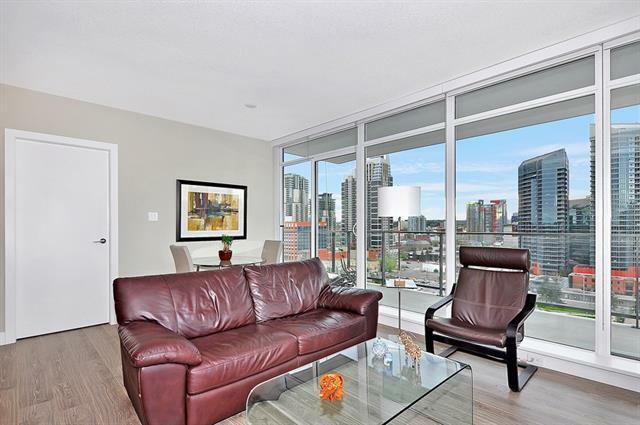 Absolutely spectacular downtown skyline views from this beautifully appointed unit. Top quality finishes and appliances. 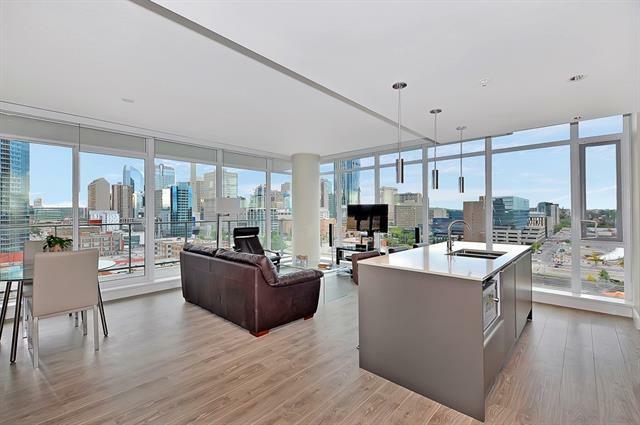 Very open floor plan with stunning views from the expansive floor to ceiling windows in every room. Gourmet kitchen includes a huge island with quartz countertops and breakfast bar. Rich wood toned flooring throughout. The huge west balcony is ideal for entertaining. 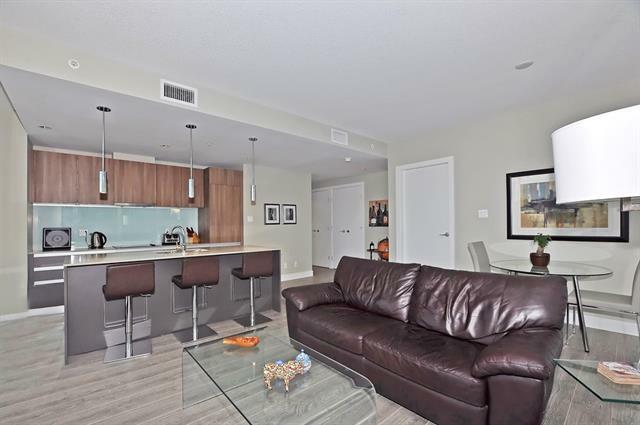 Outstanding amenities include a gym with yoga studio, social club/lounge, garden terrace, workshops and concierge. 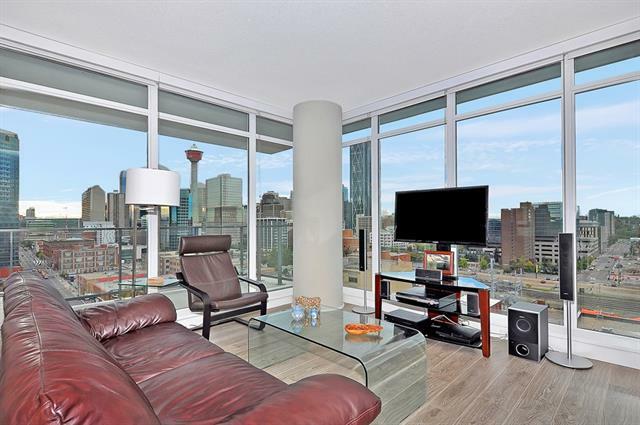 Don't miss this opportunity to live in the sought after tallest residential tower in Calgary.